“The 'war on drugs' is a policy choice. There are other options that, at the very least, should be debated and explored using the best possible evidence and analysis. We all share the same goals – a safer, healthier and more just world. The Secretary General's remarks echo the positive sentiments he and other high level UN officials have previously expressed regarding the need for a re-think of current policy, and an openess to explore alternative approaches. In recent years the push for more pragmatic debate around alternative paths for drug control at the UN level have primarily come from Latin American leaders. During the 67th session of the UN General Assembly in September 2012 the presidents of Mexico, Colombia and Guatemala challenged the current policy framework in the face of its obvious failures and mounting costs. 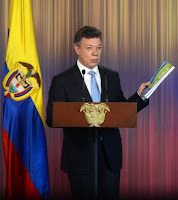 Colombian president Juan Manuel Santos urged a reassessment stating that "It is our duty to determine - on an objective scientific basis - if we are doing the best we can or if there are better options to combat this scourge", while Mexican President Felipe Calderon explicitly called on the United Nations to lead a global debate over a less "prohibitionist" approach to drugs. In recent years increasing numbers of incumbent and former heads of state from all various parts of the world are starting to speak out in favour of reform, and the high-level debate regarding alternatives to the current prohibitionist approach gained further prominence after the recent publication of the groundbreaking report by the Organization of American States. 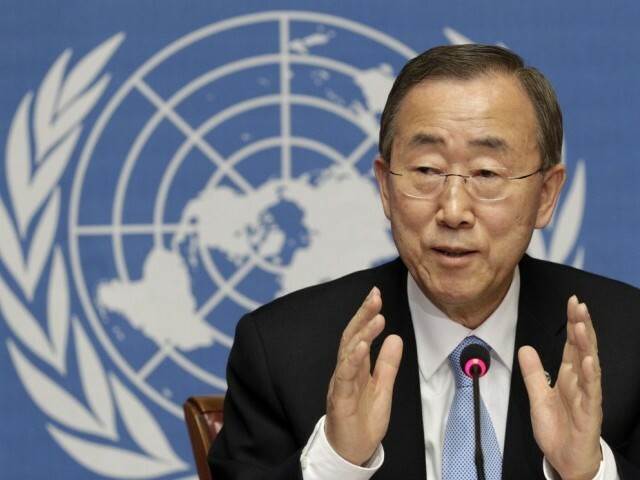 Let’s hope that this rhetorical shift at the highest level of global policy making will translate into meaningful debate and positive outcomes in the run up to the UN General Assembly Special Session on Drugs in 2016, which is set to "review the current policies and strategies to confront the global drug problem". It is clear that more and more government and UN leaders, now including the UN Secretary General himself, accept the need for change and are taking the first tentative steps to begin the process of reform at the highest level. 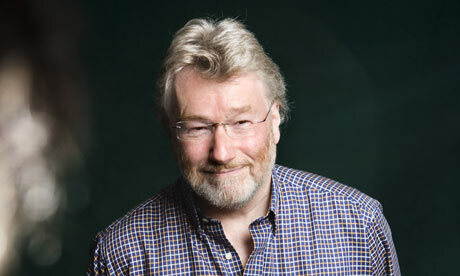 We are sad to announce the death of one of Transform’s most well known supporters – the writer Iain Banks. Here is the Telegraph's comprehensive obituary. Iain was one of the early adopters of Transform in the 90’s, and gladly gave his name to support our work. I contacted him after reading The Wasp Factory (always my favourite Banks straight fiction). He never hid his fascination with drug culture, indeed, much of his his sci fi writing was set in an interstellar anarcho-communist utopia called 'The Culture'. "I think Transform is a necessary voice of sanity in the debate about drugs. Supporting Transform will help end the drug war and promote a society at peace with itself." Iain also supported the work of our sister organisation, TDPF Scotland from the outset. "I think it's long past time that Scotland faced the truth about drugs and the extra level of damage their illegality and prohibition imposes on individuals and society. The sort of rational debate and fact-based response to drug use that Transform has been championing throughout the UK for years needs to be brought to focus on Scotland, to reflect both the legislative realities brought about by the Scottish Parliament and the particularly Scottish mix of health, social, deprivation and addiction problems that people here face. I look forward to offering continuing support to a laudable and much-needed cause." Aside from brief email correspondence with him over the years I only met Iain once at a reading he gave in Bristol. He was very approachable and had no airs and graces. Iain always had strong political views and an anger I can relate to. He famously tore up his passport over the invasion of Iraq and mailed the tatters to Tony Blair - "I was so angry about the illegality and immorality of the war. And this was me - a comfortably off, white Caucasian atheist from a vaguely Protestant background. If I thought it was a disgusting, what would Muslims think about how their co-religionists were being treated?" Happily for all of us who enjoyed Iain’s presence, his writing and his politics, his legacy will live on, and when the drug war ends, Iain’s call for peace will be remembered. The commitment of heads of state is crucial in pushing for drug policy reform since they have the power to challenge the current prohibitionist framework at its political roots. Sadly, when in office many key players like Barack Obama and David Cameron seem afflicted by post-election amnesia when it comes to rethinking the War on Drugs. Indeed, historically, the issue has been taboo and thus it was that was only former presidents were willing to speak out. Nevertheless, in the absence of much significant engagement on the side of Western consumer countries, Latin and Central American presidents have taken the lead in challenging the prohibitionist status quo. And what is increasingly encouraging is that more and more incumbent political leaders are now daring to challenge the prevailing orthodoxy. Below is a selection of some of the more prominent past and present heads of state who are not afraid to champion reform, divided up into 'Incumbents' and 'Formers'. 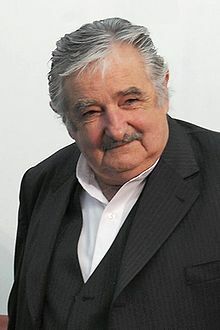 José Mujica, ‘the world’s poorest president' who famously donates 90% of his salary to charity caused quite a stir back in October 2012 when he declared that Uruguay will be legalising the production and supply of cannabis under monopoly state control. When asked about his motives he replied that "The traditional approach hasn’t worked [...] Someone has to be the first”. Since then, he has announced that the plan has been delayed due to lower than hoped public support in ongoing polling. Nevertheless he remains committed to the reform and the Bill continues to make its way through the Uruguayan parliament. He hopes to go ahead with this groundbreaking policy when the population understands the intent of the measure, underlining that "The majority has to be in the street and the people have to understand that with shootings and putting people in prison we are giving a gift to drug traffickers." 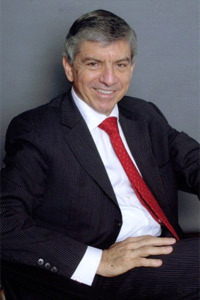 Juan Manuel Santos. Colombia’s president is an increasingly vocal proponent of reform, who, since coming to power, has drawn significant attention to the suffering of Latin American producer countries, the unintended consequences of current interenational drug control. He is now a major advocate calling for a rethink of the failed War on Drugs. 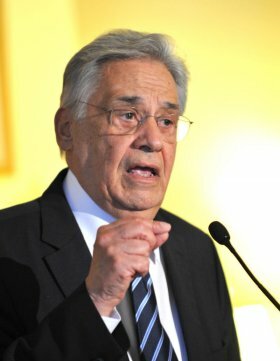 In contrast to his Uruguayan counterpart, he rules out any possibility of unilateral action on the issue on Colombia’s side, instead calling on the international community to address the obvious failure of the War on Drugs and stressing that responsibility has to be shared among producing, transit and consuming countries. In his calls for a debate he is much bolder than other politicians, bringing up both the legalisation of cannabis and perhaps even cocaine as a subject for international discussion. 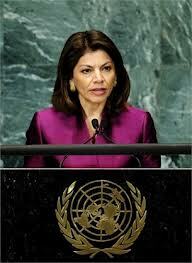 Laura Chinchilla, president of Costa Rica, joined the group of incumbent presidents calling for a rethink of the prevailing prohibitionist approach stating that drug legalization in Central America merits a 'serious' debate in order to reduce the crime and violence spreading through the region, even if it runs up against U.S. opposition; once more drawing on the fact that Central Americans “have the right to discuss it” because “we are paying a very high price”. 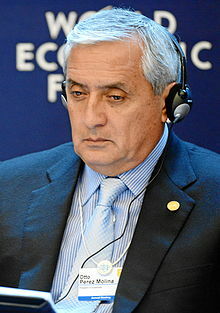 Otto Pérez Molina of Guatemala is another Central American president leading the debate on a need for a global shift in drug policy and challenging the U.S to move in the same direction. "I believe that as he is entering his second term, [Obama] is going to be more open to this debate. In the end, this is the direction we all have to move in. There is going to be a change away from the paradigm of prohibitionism and the war against drugs, to a process that will take us towards regulation. I would expect a more flexible and open position from President Obama in his second term." Molina’s engagement with the issue is a welcome development, though his role as an advocate of reform may be overshadowed by the serious (though unconfirmed) allegations of human rights abuses that he faces. 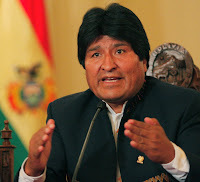 Evo Morales, the Bolivian president, now serving his second term, hasn't endorsed wider drug policy reform, but has instead focused on the legalisation of the practice of traditional coca leaf chewing in Bolivia. In his campaign he dared to withdraw the country from the 1961 UN Convention on Narcotic Drugs, and despite objections from several countries later managed to re-accede to the convention with a special dispensation recognising the practice as legal in Bolivia, effectively renegotiating the UN conventions to allow for more progressive reforms. 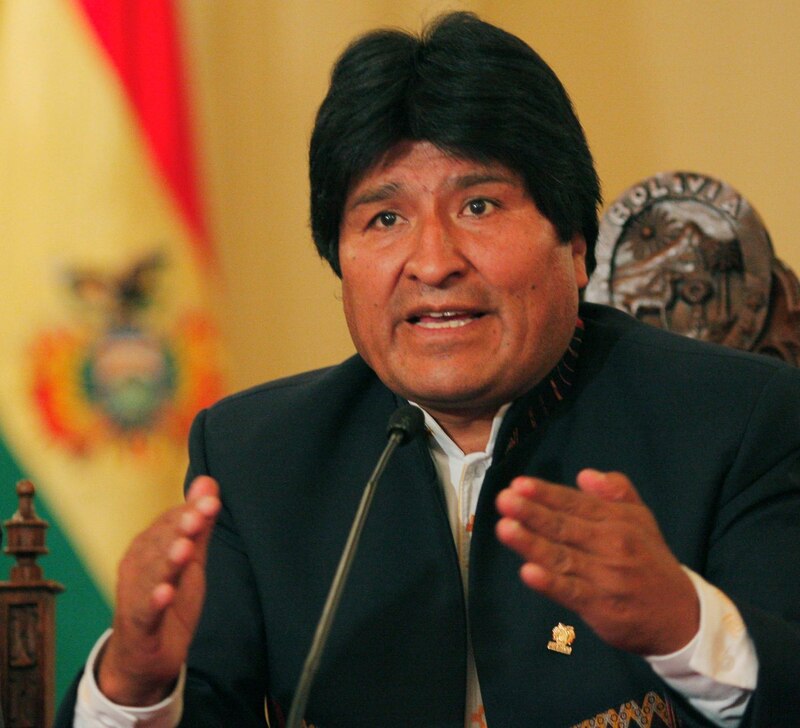 Morales has also been highly critical of the broader 'war on drugs' paradigm - which he views as failed and counterproductive. See, for example, this speech at the UN Commission on Narcotic Drugs earlier this year. Ruth Dreifuss. Former president of Switzerland, member of the Global Commission on Drug Policy (which supported an experiment with legal market regulation of cannabis and other drugs), and pioneer of innovative harm reduction strategies. She introduced heroin-assisted treatment whilst she was Minister of Home Affairs for Switzerland and she frequently speaks out for decriminalisation and a public health approach to drug policy. Dreifuss was also a special guest at an event held by the global Count the Costs initiative, of which Transform is a leading supporter. “The OAS and countries across Latin America are positively contributing to the breaking of the taboo that blocked for so long the debate on more humane and efficient drug policy. It is time that governments around the world are allowed to responsibly experiment with regulation models that are tailored to their realities and local needs." “The world needs, and deserves, a control regime that is not corrupt, that has genuine integrity – that is sound, complete and whole – that is democratic, and delivers security, development and health within a human rights framework. I am realistic. I believe it could take another ten years to turn this ‘Blueprint’ into reality. It is a tragedy that in the next decade many thousands more will die using dirty drugs or trying to stop, or fighting over the spoils of, the illegal trade. At the same time we will collectively waste another trillion dollars on the global war on drugs." George Papandreou who served as Greece’s Minister of Foreign Affairs and later became Prime Minister, is another member of the Global Commission on Drug Policy who was a serving head of state at the time of publication and as such was therefore possibly the first head of state to publicly back legalisation/regulation. 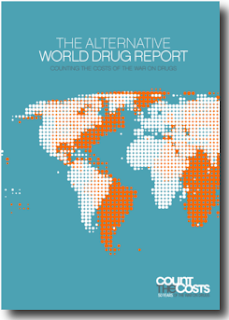 He has long advocated the need for a rethink of the current global drug policy framework. "I do not hide that I personally have from time to time supported the need to see the addict as someone in need of treatment rather than a criminal, the need to make full use of the conclusions of a number of bold pilot projects, regarding the supervised administration of substitute narcotics in an organised way, including by the State itself." “There is still a long way to go. The trend towards decriminalisation for possession helps to empower a public health paradigm. It breaks the silence about the drug problem. It enables people to think in terms of approaching drug abuse in a way that is not first and foremost a matter for the criminal justice system. 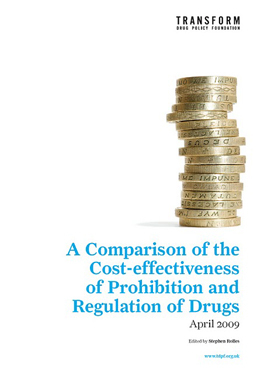 Reducing the harm caused by drugs goes hand in hand with reducing consumption." “The full enforcement power of the state and the social and cultural pressure of society should be aimed at a relentless fight against organized crime -- rather than persecuting people in need of treatment. Research has consistently demonstrated that marijuana is a less harmful drug than tobacco or alcohol. Regulation is not the same as legalization. This is a critical point. Regulation is a necessary step to create the conditions for a society to establish all kinds of restrictions and limitations on the production, trade, advertising and consumption of a given substance to deglamorize, discourage and control its use." 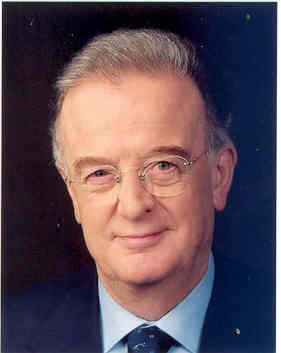 Jorge Sampaio. The former Portuguese president was at the beginning of his second term when his country became one of the pioneering EU countries introducing a decriminalisation policy in July 2001. The pioneering law was introduced in response to Portugal’s growing drug abuse problem, and meant drug possession/use was no longer treated as a criminal justice issue. Instead, it would now be dealt with as a purely administrative violation. This legal refrom, alongside a more fundamental realignment of policy from punitive enforcement towards public health interventions. , resulted in a decline in problematic drug use, drug-related mortality rates and drug-related disease transmission. Twelve years after the law was enacted there is widespread political consensus in Portugal in favour of decriminalisation. 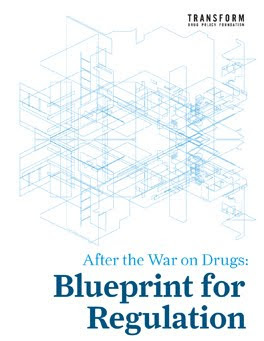 "Of course, we must believe that the architects and subsequent followers of the ‘war on drugs‘ strategy though that they were acting on behalf of the public interest, but that is hardly a reason not to examine the basis for and the results of their policies. In this process, we should not ignore the possibility that their idea of public interests might have been distorted by a sense of short-term political urgency." 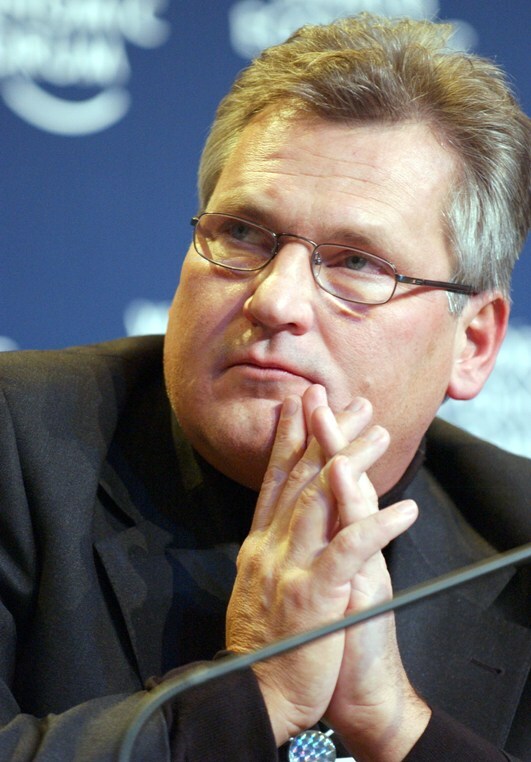 Aleksander Kwasniewski, former president of Poland who joined the Global Commission last year seems to be a good illustration of the short-termism that Zedillo wrote about. In 2000, as president, Kwasniewski signed the bill introducing a prison sentence of up to 3 years for the possession of any amount of illicit drugs, no matter how small. Not surprisingly, the result was a drastic increase in numbers of arrests, more than half of them under the age of 24. "It is my hope that political and community leaders in other countries, especially in Eastern Europe, will learn from Poland’s experience in criminalizing drug possession, a move that clearly fell short of its goals. Such a policy failure should not be repeated anywhere else in the world." "East European leaders should press for a halt to incarcerating people for possessing small amounts of drugs for personal use and should start treating drug addiction as a public health issue."